Suprio Ghosh co-founded Redbee Infrastructure in 2009. 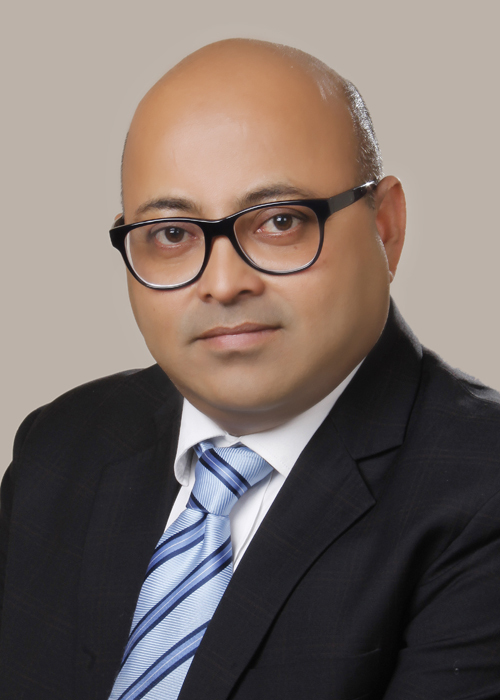 He has over 20 years of experience in the corporate realty segment, spearheading real estate and project management divisions for reputed organizations like MetLife, Citibank and CB Richards Ellis amongst others. Ever since he set up Redbee, he has guided the company through gradual but constant progression. With an extensive experience in the corporate Real Estate environment he is able to provide quick and responsible Real Estate solutions to various organizations. He opened the Benjamin West India office for Benjamin West in 2012. PROFESSIONAL EXPERIENCESuprio has been instrumental in building up the Procurement Management Services teams across locations and in FF&E and OS&E for Hospitality for Benjamin West in India Sub continent. Under his leadership, the Procurement Management Services team in India For Benjamin West has grown to strength of over the few year and has completed projects in India, Sri Lanka and South East Asia. During the last two years, he has been involved with a number of initiatives over the years and continues to be actively involved in pursuing new initiatives for the company, both in terms of expanding the company’s presence into new geographical locations. © 2018 BENJAMIN WEST. ALL RIGHTS RESERVED.